There is noting more exciting than running for charity, especially a charity for kids and well, the Royal Bank of Canada (RBC) recently announced that RBC Race for the Kids will return to Kuala Lumpur on Sunday, 29 October 2017 at the scenic Perdana Botanical Gardens. This 5km non-competitive charity run is expected to attract more than 1,800 runners and walkers of all ages in support of RBC’s charity partner, Ronald McDonald House Charities (RMHC) Malaysia. RBC and RMHC Malaysia aim to raise more than RM 90,000 to fund a third Ronald McDonald Sensory Room at Sekolah Semangat Maju Taiping (SSMT) for children with learning disabilities, autism, Down syndrome and cerebral palsy. 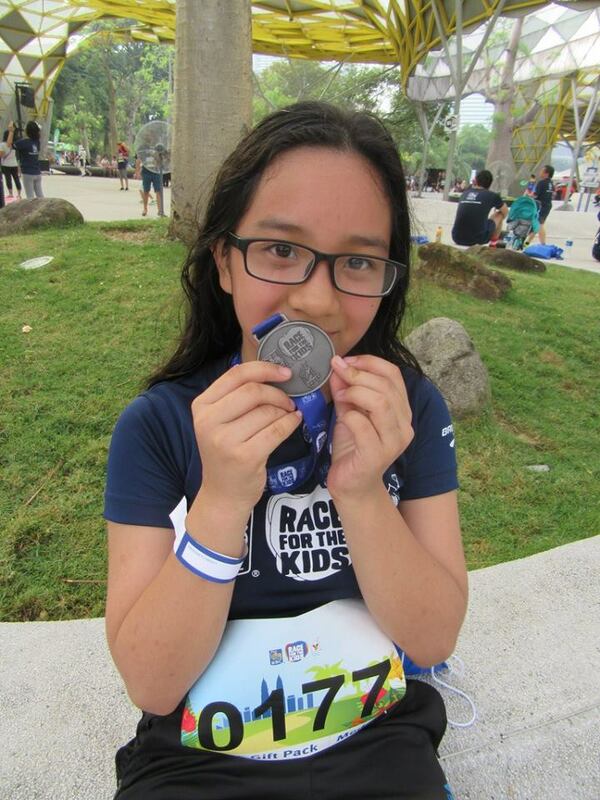 The inaugural RBC Race for the Kids in 2016, which my mini me and I joined raised RM 200,000, easily exceeding RBC and RMHC Malaysia’s fundraising target, and attracted more than 1,500 participants. The funds enabled RMHC Malaysia to build two Sensory Rooms in the Klang Valley. RBC Race for the Kids has been taking place in over 15 locations around the world, and this includes London, Vancouver, Minneapolis, Toronto, New York, Chicago, Sydney, Luxembourg, Hong Kong, and Kuala Lumpur, attracting more than 124,000 participants. 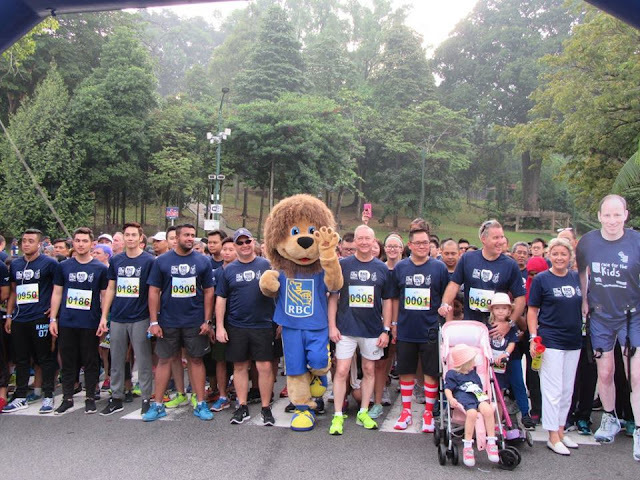 Since its launch in New York in 2009, RBC Race for the Kids has raised over US$27 million for children’s charities around the globe. 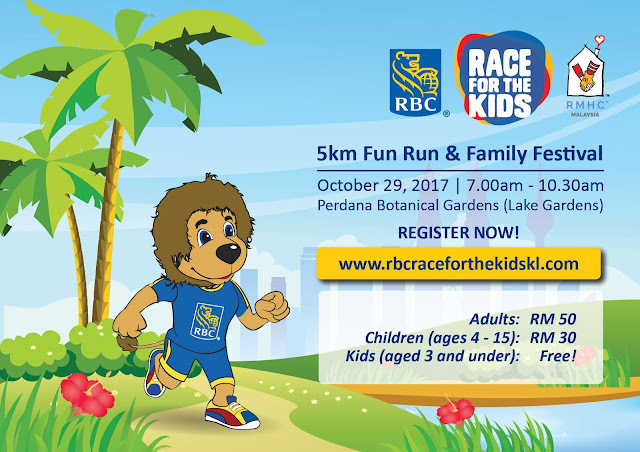 For more information on the event and how to register, please visit RBC Race for the Kids Kuala Lumpur. I really like the concept of this type of event in which people do collect funds to donate it to any charity.I really respect the organizers of this event for organizing such a successful event.